Grecanico Dorato is an ancient vine variety, whose origin and geographical spread are surrounded by mystery. Until a few years ago, its origin was thought to be Greek. Greeks had brought to Sicily many vine varieties since the VII century BC: that seemed also the case of Grecanico Dorato. Besides the obvious reference to Greece in the name of this variety (“Greco” means Greek in Italian), its Greek origin was justified also because it was common in Sicilian areas with many traces of Greek agricultural settlements. Greeks settled, for example, in the area of Randazzo, not so far away from our beloved Contrada Nave. They went up the river Alcantara and created some agricultural colonies. Evidence of these settlements are the many archaeological findings, some of them stored in the Vagliasindi Museum of Randazzo, as well as some mentioned by many literary sources. Cicero himself spoke of these settlements near Randazzo, describing the locals as “humble hard workers, totally committed to farming”. Traces of the Grecanico Dorato vine variety was found also in the late Renaissance, when Francesco Cupani referred to it under the name of Grecani. In 1835, an abbot called Geremia described specifically its qualities and its spread in the areas of Randazzo and Trapani. Knowledge always comes with the awareness of our own ignorance (“The more I know, the more I realize I don’t know”). Some ampelographic studies (Calò et al., 2000) highlighted the deep analogies between Grecanico Dorato and Garganega, one of the most important vine varieties of Veneto, used to produce the famous Soave. Traces of the presence in Veneto of Garganega can already be found in one of the works of the agronomist Pietro de Crescenzi, already in the XIII century. The great similarities between these two vine varieties with a very different geographical location, and the complete absence of similar vine varieties in central Italy, are intriguing questions, which have led to many theories about the birth, the spread and the evolution of these plants. 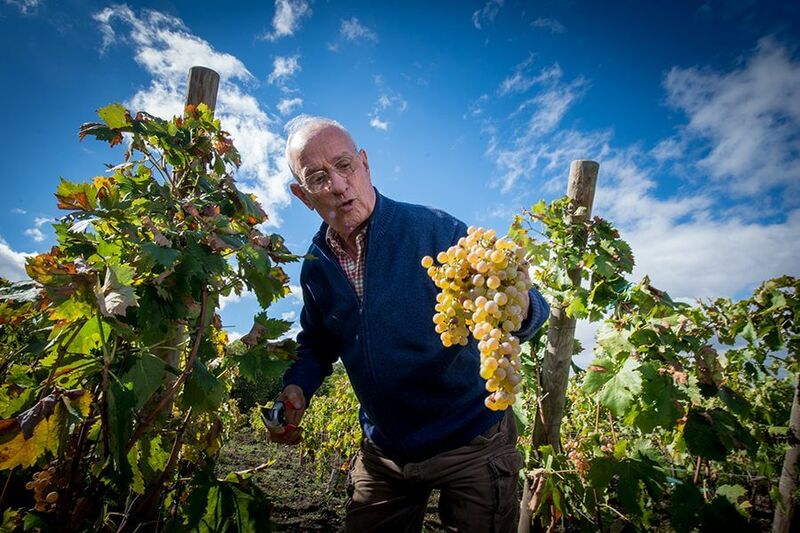 Thanks to the genetic analysis of some selected clones of the most important vine varieties, some studies, among which one of the Agrarian Institute of San Michele sull’Adige, have confirmed the genetic identity between Grecanico Dorato and Garganega. In 2003, an expert team performed a detailed genetic study on the most important vine varieties of Veneto. They concluded that one of the three analyzed clones of Garganega (more specifically the number ISV-CV84) was identical to the analyzed clone of Grecanico Dorato; the other two, instead, were slightly different. 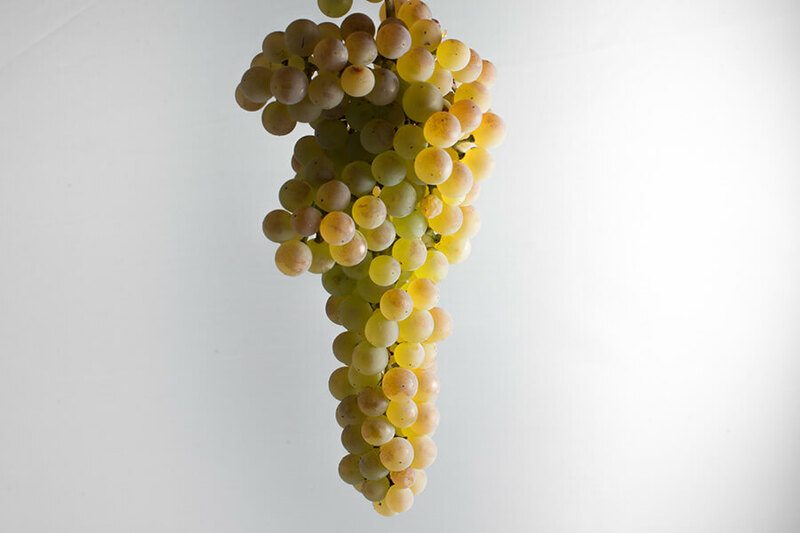 This genetic analogy was confirmed by further studies, which identified also some interesting relationships between this variety and many other species widespread over the national territory, as Catarratto, Greco del Pollino, Trebbiano Toscano, Albana, Empibotte, Malvasia Bianca di Candia. Another fascinating discovery was that the genetic profile of Grecanico Dorato was identical to the one of Malvasia de Manresa, a vine variety once widespread in Catalogna that, nowadays, is no longer cultivated and almost extinct. Grecanico Dorato is, according to these studies, a very ancient vine variety, whose geographical spread is, presently, mysterious and inexplicable. 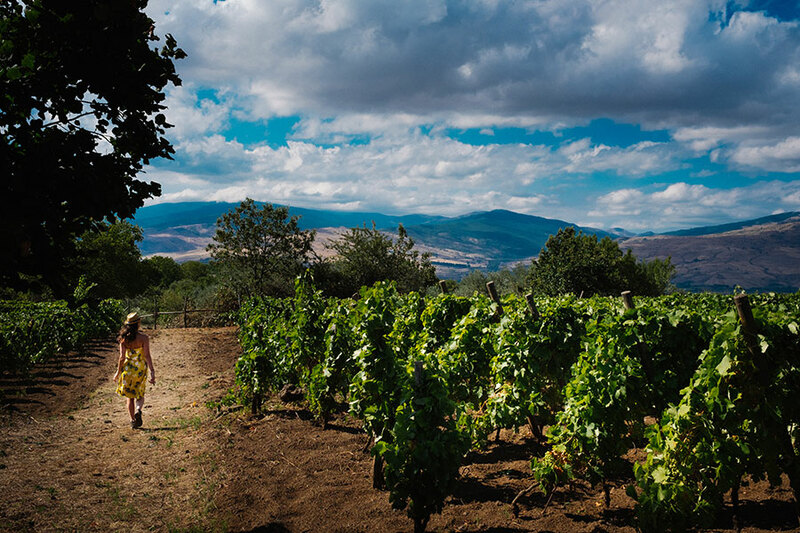 New genetic studies could explain how Grecanico Dorato came to Sicily and Mount Etna many centuries ago; if there is a relationship between this vine variety and Greeks and if they played a role in its diffusion in Sicily; and why Grecanico Dorato, with the name of Garganega in Veneto and of Malvasia de Manresa in Catalogna, appeared in ancient times in other places, but not in central Italy. We have been in contact with the institutes who carried out the more relevant researches on these vine varieties and, besides offering our vineyard to further analysis and scientific studies on Grecanico Dorato, we will try to publish on our website any findings that could shed light on these still unanswered questions. We invite our readers to contact us, should they have other relevant information on the subject. The vines of Grecanico Dorato present some distinguishing features from a structural point of view. The plant presents a contained vigour and a late budding phase in the second half of April. It flowers in the second half of June and ripens in the second half of October. Considering the extreme altitude of our vineyard, sometimes the ripening extends to November. Bunches are medium sized, sometimes bigger than 25 centimeters, with a cylindrical winged shape (usually two wings), moderately straggly. Some of our plants produce more compacted bunches. Berries are regular, with a spheroid-ellipsoid shape and a golden yellow skin, with clear pink traces. Their skin is not very pruinose, but thick and compact. The production is rich if not controlled. In our vineyard, we keep a production of around a kilogram per plant, in order to assure the best qualitative results. The vine shoots are generally trained upwards in a vertical trellis system, using the Guyot pruning method. In some parts of our vineyard, we are experimenting how Grecanico Dorato reacts to different pruning systems, in order to understand the adaptability of this plant and the qualitative impact of various techniques on grapes. Over the years, we have noticed that this vine variety is extremely resistant to adverse weather conditions, dryness, sicknesses and parasites. This quality allows us to respect completely the nature of the plants and of the territory, avoiding invasive treatments. 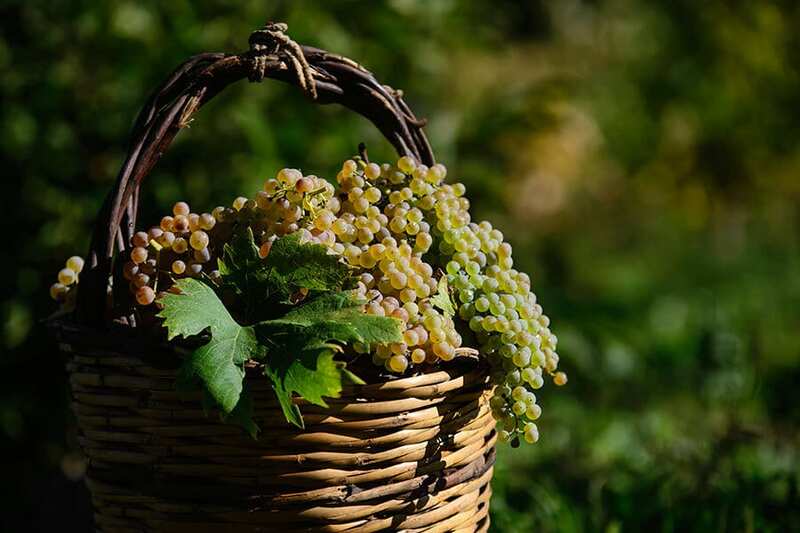 The wine produced with Grecanico Dorato presents a strong straw-yellow color with clear golden traces. Its scent is strong, with clear floral traces of white fruits, apple, pear, pineapple, tropical fruits and bitter almond. Its taste is warm or rather warm, enriched by a soft structure, quite savoury, fresh and balanced. Sometimes this wine can express its potential also after ten years, thanks to its acidic structure. The wines produced with Grecanico Dorato are ideally served with pasta with white fish sauce, pasta with clams, pasta “alla catanese” (with sardines and wild fennel), shrimps tempura, Mediterranean sashimi, Sicilian arancinis with meat sauce and spinaches, aubergine parmigiana and fried meatballs. Besides these general tasting notes, our Grecanico Dorato, thanks to its position on an extreme part of Mount Etna and to the rootstocks, pushing the roots to a depth of more than one meter, into a soil rich of humus and eruptive material, is rich of volcanic mineral hints and aromatic traces deriving from the strong temperature fluctuations in Contrada Nave. It is as if the extreme location of our vineyard completes the scents and flavors bouquet of Grecanico Dorato, proving the true nature and the heroic attitude of a vineyard that has travelled the centuries. As this old saying among the old Etnean farmers goes: “If the ancient populations did something, there was always a reason”; therefore they have learned from them, respecting their work without disrupting it. If the ancient populations planted Grecanico Dorato on Mount Etna at the extreme altitude of 1100 meters above sea level, a height that in the past was extremer than today, there was a reason: a reason that can be fully understand today, walking among the rows of vines during the harvest and watching the healthy richness of these grapes, blessed by the full fertility of the volcano.